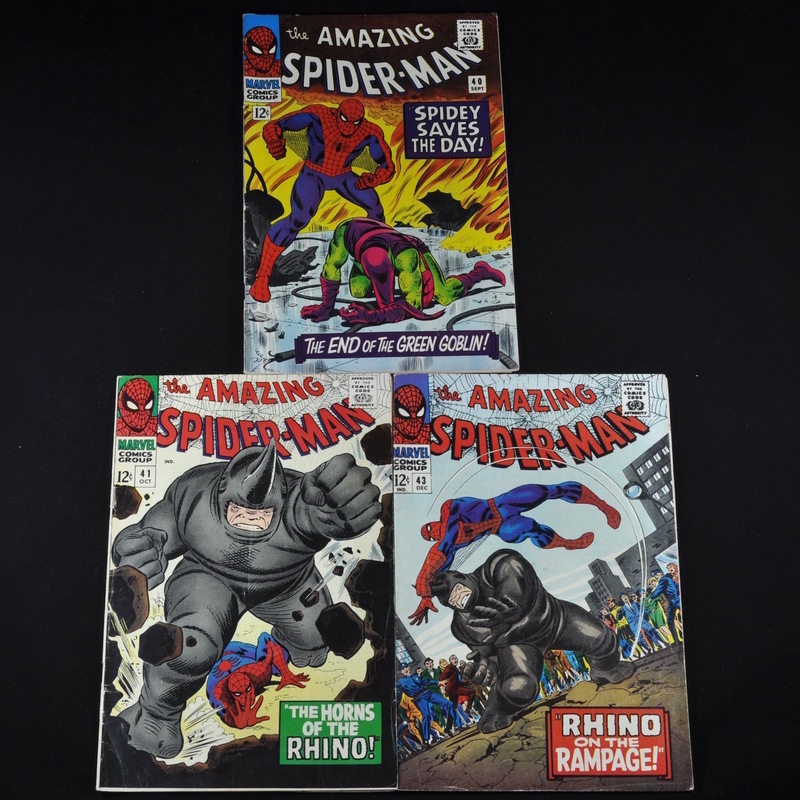 Collection of Amazing Spiderman comic books (Marvel, 1963-1998) comprised of three comic books dating from 1966 including #40 ("Spidey Saves the Day! Featuring: The End of the Green Goblin! "), #41 ("The Horns of the Rhino! "), and #43 ("The Birth of a Super-Hero!"). Dimensions: each book is approximately 10 1/4"h x 6 3/4"w. Processing and shipping within the continental U.S. $25.00 plus 1.5% replacement cost insurance.